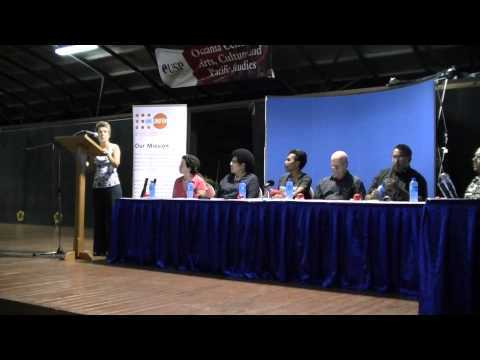 UNFPA Pacific Island Countries | Rev. Dr Bruce Yeates - Associate Dean of the Faculty of Arts, Law and Education and Social Work Programme Coordinator, School of Social Sciences: Are families in Pacific societies prepared for tomorrow's development agenda, socially and economically? Home Videos Rev. Dr Bruce Yeates - Associate Dean of the Faculty of Arts, Law and Education and Social Work Programme Coordinator, School of Social Sciences: Are families in Pacific societies prepared for tomorrow's development agenda, socially and economically? Rev. Dr Bruce Yeates - Associate Dean of the Faculty of Arts, Law and Education and Social Work Programme Coordinator, School of Social Sciences: Are families in Pacific societies prepared for tomorrow's development agenda, socially and economically? 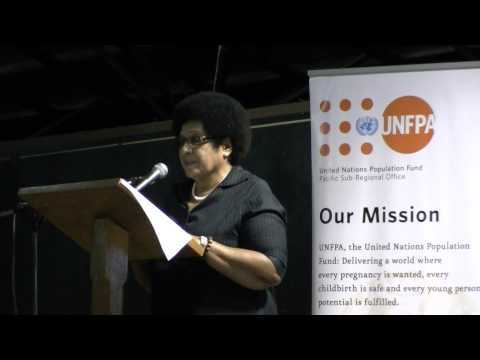 Maha Muna - Gender Adviser (UNFPA): The ICPD Review Findings on families and its Pacific development implications? 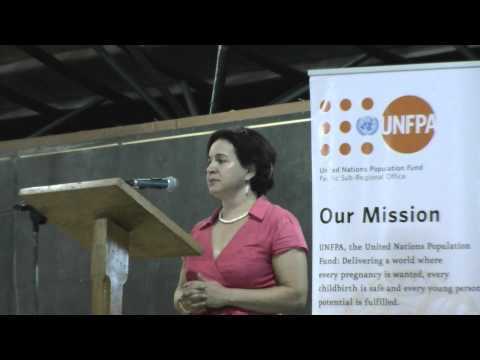 Panelist: Ratu Joni Madraiwiwi - Roko Tui Bau: The role of national leadership in the evolving structures of the family. Rev. 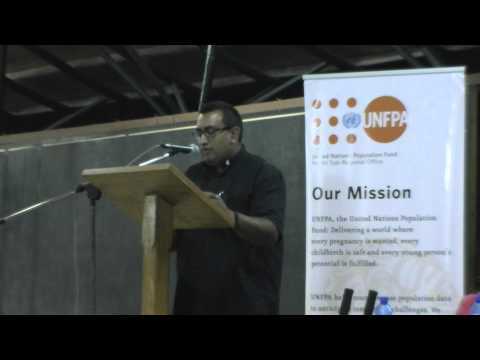 James Bhagwan - Secretary of Communication, Methodist Church of Fiji and Rotuma: Does faith still have a role in social changes towards a developed nation? 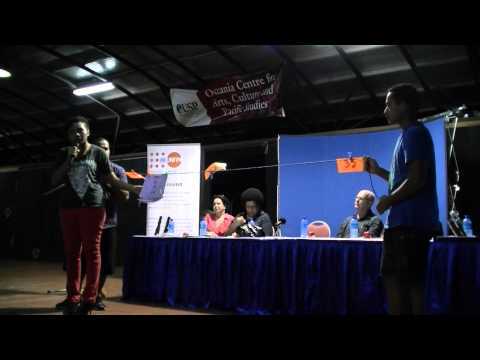 Paulini Turagabeci - Youth Advocate: Where should youth be in the issue of family formation? 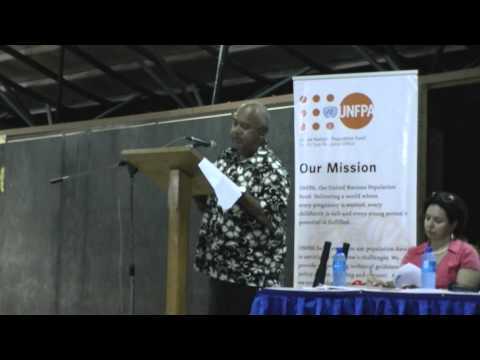 Dr Jiko Luveni - Minster for Social Welfare, Women and Poverty Alleviation: The role of the ageing policy in tomorrow's family?